Welcome to NASA's International Space Station! 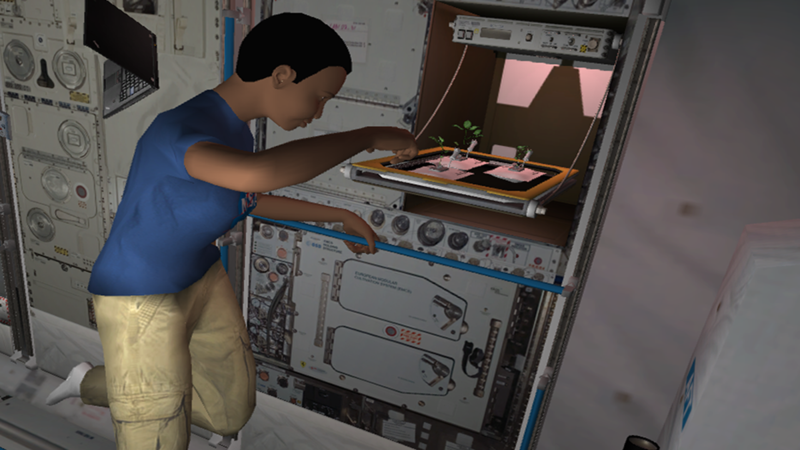 As the newest member of the ISS crew, it’s your task to familiarize yourself with the station, and help out with the plant growth experiment. Trying to move in zero-g will be different than what you are used to on Earth! Spend some time flying and flipping around the station without gravity to assist you. Once you’ve become comfortable moving in zero-g, find astronaut Naomi and assist her in cutting-edge research: how micro-gravity effects plant growth in space. What kind of light do they need? How do you water plants without gravity? Why is growing food important in space? 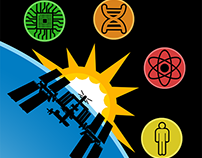 Collect mission patches for completing tasks and for making discoveries. Can you grow enough plants to create a salad for the astronauts to eat? Launch time! The app also contains information on plant growth experiments, for use in the classroom and at home.